Parivahan is also known as transport or transportion, which means that something is moved from one location to another. It can be divided into many categories, such as vehicles, infrastructure and operations, but here we are talking about vehicles such as 2 wheeler Scootty, 4 wheeler vehicles, trucks, bus and so on. It’s a type of registration certificate and driving license issued by RTOs that are valid throughout India. Parivahan Sewa improves the image of the Govt and Transportion Department of our India. So, you knew the main online services of Parivahan Sewa. But here we will discuss about its Driving License Services. If you want to know all services of Parivahan Sewa, then read here: [video] Parivahan Sewa Sarathi | Apply DL: Step by Step Guide (2019). Or, you may direct copy/paste this link: https://sarathi.parivahan.gov.in/sarathiservicecov6/newDL_display.do to your browser. It will take you to the online form. You just have to fill that. 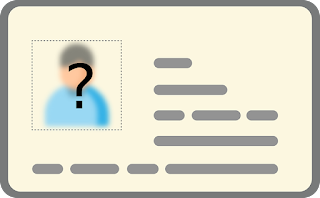 After all process, you will receive a Application Number by which you can track your DL Application status. Then Press “Submit” to check your application Status. So friends, I hope this article helped you a lot on how to apply for driving license (DL) in India 2019. Do let me know if you have any further questions or doubts you have in comment box below. Thank YOU!! It's awesome guide. Thanks for sharing. Thanks Romit, nice to have you around.